Following the VELUX EHF Champions League Group Phase and the Women’s EHF Champions League Group Matches Draw event last week another draw date is approaching. On Tuesday 17 July the European club competitions draw will take place in Vienna as the first two playing rounds in each of the four cups will be determined. When it comes to the number of participating teams the biggest draw event of the season will start with the Women’s Challenge Cup, followed by the Men’s Challenge Cup and the Women’s EHF Cup. 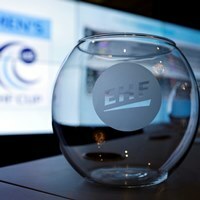 The Men’s EHF Cup will conclude the event. All teams interested in taking part in the new season of one of these four competitions had to register by Tuesday 3 July. Already next week on 10 July the European Handball Federation will release all the confirmed teams and seeding lists for all the cups.